Many markets world over have weakened due to some reason or the other. But the precious metals market has still kept the investors interest alive. This is clearly visible from the fact many central banks have piled their gold reserves further and wish to continue to do so. Russia is continuing to add strongly to its gold reserves with its central bank announcing it bought another 28 tonnes of gold for its reserves in October. 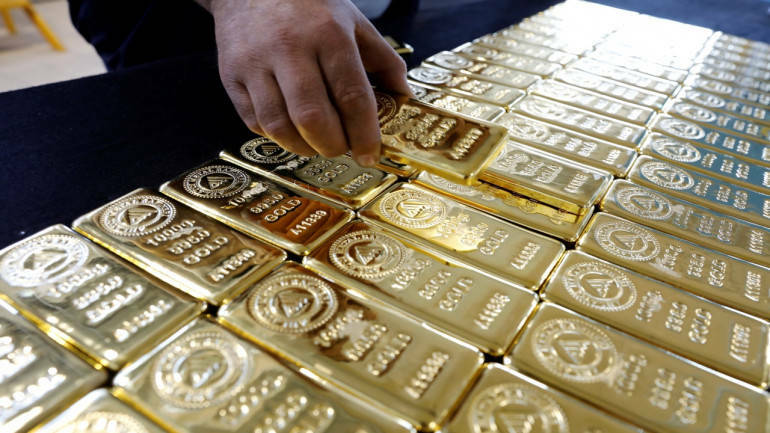 This gold accumulation has taken place while U.S.-imposed sanctions are in force and as a counter measure Russia has reduced the dollar-related part of its forex holdings to the bare minimum and is, no doubt, following a policy to replace this part of its reserves with other key currency-related holdings and with gold. All this is adding to overall gold demand which is expected to raise its prices further. Now gold is not only focussing on the macroeconomic risks but also by the global financial risk. This week too we saw important US economic numbers creating a positive impact on gold. The U.S. Census Bureau announced that new orders for manufactured durable goods in October fell 4.4% to $248.5 billion. Moreover, the University of Michigan’s Consumer Confidence Index fell to 97.5 in October from 98.6 in October and fell short of the market expectation of 98.3. On a positive note, after declining for six straight months, existing home sales rose 1.4% in September. Following these data releases, the US Dollar Index failed to move into the positive territory and was last down 0.15% on the day at 96.68. The US equities markets too dropped. U.S. equities, which tend to drive indices across the globe, fell heavily on Tuesday. European equities, after a minor recovery Wednesday, turned down again this morning so markets are still extremely nervous. This uncertain or slow moving situation has been favourable for gold and we expect investors to further allocate their portfolio to gold. Unless there are strong cues received, gold looks decent and is expected t do reasonably well compared to other assets class.